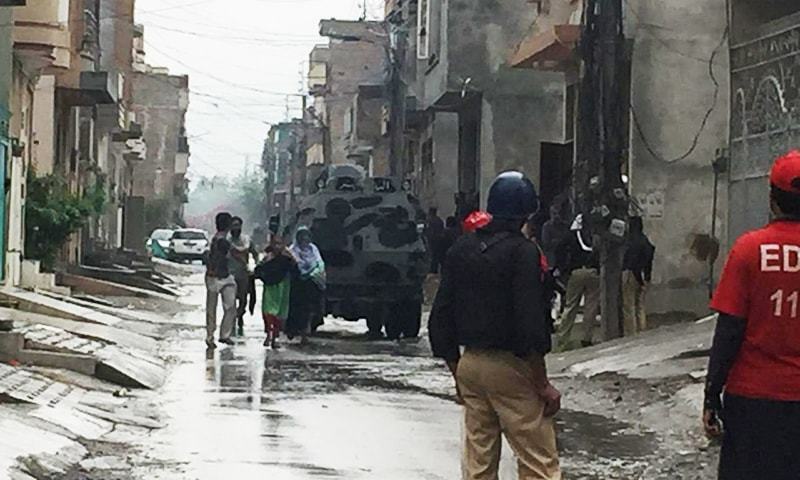 An anti-terrorism operation in Peshawar’s Hayatabad area concluded Tuesday afternoon after a stand-off between suspected terrorists and security forces which lasted nearly 17 hours. Police sources had earlier told DawnNewsTV that four or five suspected terrorists had been killed before the final push. According to the sources, two or three suspected terrorists had continued to offer resistance after having taken refuge in the top floor of a house in a residential area located in Phase 7 of the upscale Hayatabad locality. Unofficial reports stated that all holdouts were neutralised as the operation concluded. Additional reporting by Zahid Imdad, Sirajuddin and Arif Hayat.